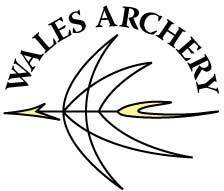 WAA awards two series of badges to archers achieving specified scores indoors or outdoors. Badges are free to WAA members and may be bought for a small charge by non-members. Each level of badge may be claimed only once. Dragons are the indoor award. They are awarded only for Portsmouth rounds. Daffodils are the outdoor award. They are awarded for rounds in the York (Gentlemen), Hereford (Ladies) and Bristol (Juniors according to age group) series. To be eligible for either award, rounds must be shot in an Open competition under GNAS rules, although there does not have to be a qualified Judge present. Rounds can be shot anywhere in the UK. There are six levels of award for each badge: White, Black, Blue, Red, Gold, and Purple. Further details, including the required scores, are given on the claim forms.